Follow Happy Homebird's board Name on Pinterest. I always think boys names are harder to choose than girls and if I had a girl I would be absolutely spoilt for choice. I love the name Minnie, yeah like the mouse but I found a Minnie in my family tree and that is where I thought it would be a gorgeous homage to my ancestors. I love those name books but even better, there is a fabulous free app called Baby Name Genius that is so, so addictive. 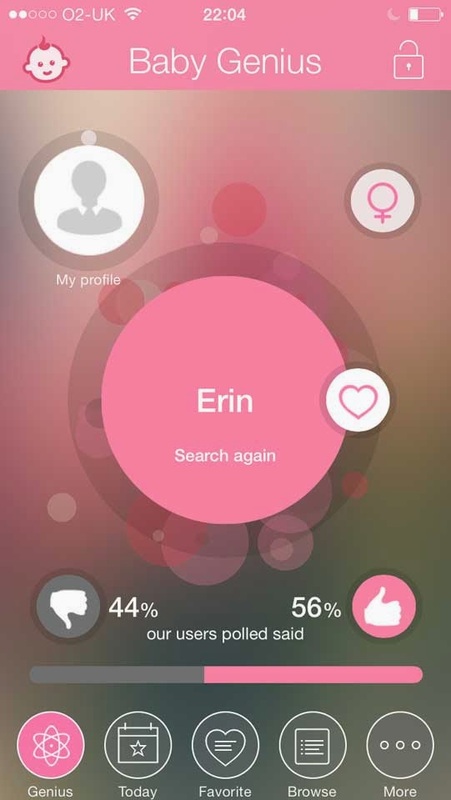 You select between boys or girls names and the app generates names based on your personal information and you give it a thumbs up or down. It also shows how the rest of the Baby Name Genius community have voted so you can see how your favourite names are received by everybody else. The app is really clever and quickly learns what you might like using your choices. It has a whole lot of other functionality from famous people Born on this Day to searching by origin and name length. I was pleased that my son's name, Toby was 50:50%, I always knew it was a good solid name. I looked up Minnie and it means 'of the sea' or bitter! Still like it though but I love nature names too like Skye or Summer. If I were to have another boy, Charley or Zachary are top of the list.